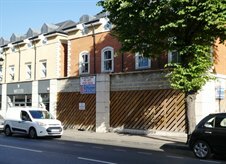 Cattaneo Commercial are pleased to announce the letting of this prime retail unit at 39-41 Victoria Road, Surbiton, Surrey KT6 4JL to Princess Alice Hospice. The 1,235 sq ft shop unit will provide a larger outlet in the town for this local charity. If you have retail premises and you are considering a disposal, please contact either Adam Soliman or David Keates on 020 8546 2166.